Linux users are smug for a reason, they know for a fact that the operating system of their choice is much better than what most other use, namely Windows OS and Mac OS X. Linux offers its users a much stronger protection against virus attacks, gives you freedom from drivers, has a much more stable system than Windows, is much cheaper to install (actually its free to be more exact). You don’t have to keep installing stuff to read different types of files; Linux comes with everything you could need. And unlike Windows and Mac which both get slower the longer you use them, Linux manages to retain its speed for years. But the best is yet to come. Linux not only lets you download awesome and free software from the net, it actually helps you find them! If you are one of those people who scoff at the very low number of softwares available for Linux, think again. 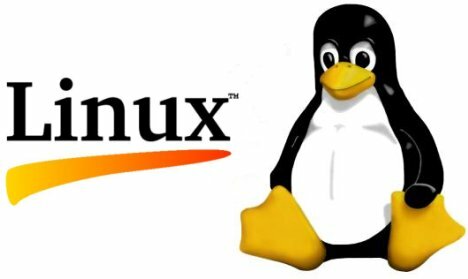 More and more sophisticated, useful, and user friendly software for Linux are being released every day, and video editing softwares are no exception. So, if you are a Linux user with an interest in videography, we have brought together a list of seven amazing video editing softwares for Linux. Do let us know if you found them useful. 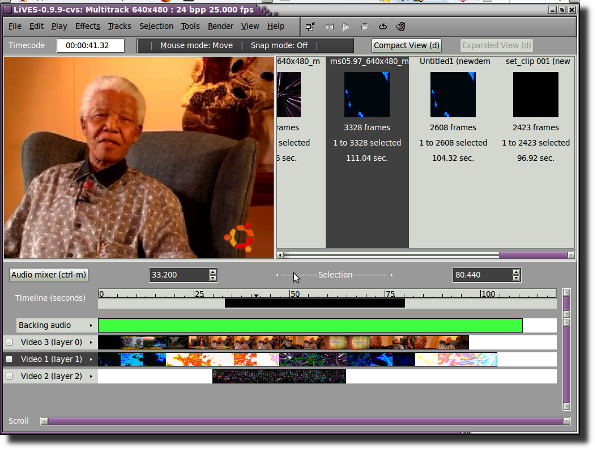 Cinelerra is easily the most complex and capable video editing tool available for Linux. If you want to create complicated videos with lots of eye popping effects, Cinelerra is the tool for you. This software has a dashboard on which you can see the current state of the timeline, as well as individual clips outside the timeline. You can get a rough sense of what is happening in each clip with the video thumbnails along the line. You need just a little bit of specialized knowledge to be able to use VirtualDub to its full potential in Linux, but if you already have it, or if you can take out an hour for an online tutorial, there is no limit to what videographic effects you can achieve with this software. This open source package is regularly updated by its creators, and it needs a fast computer to run properly. Use this open source cross platform software to break, merge, and rearrange the sequence of videos that you downloaded from YouTube or any other video sharing platform, and then view the resulting video in any device of your choice, be it your iPod or your Sony Playstation. Avidemux is light and does not eat up too much memory. It is also a very easy software for beginners to use. This 3D computer graphics software product is open source and free of cost. It can be used for creating animated films, video games, visual effects, and interactive 3D applications. Blender has 3D modeling, texturing, UV unwrapping, rigging and skinning, fluid and smoke simulation, particle simulation, animating, rendering, video editing and compositing as its features. Blender even has a built-in game engine. 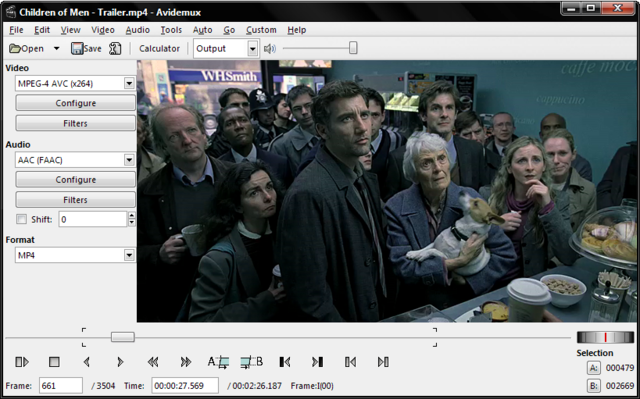 Kdenlive supports real time input camcorders, webcams, and those cameras that can take MPEG4 pictures. A large number of audio and video codes and formats are supported by Kdenlive, such as MPEG, AVI, FLV, WAV and many more. 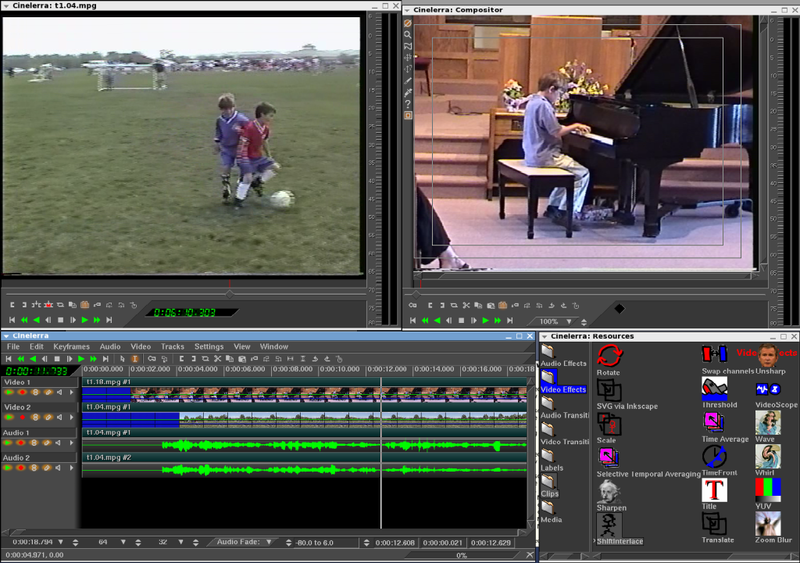 Kdenlive has a lot of cool features for video editing, such as track-based A/V mixer, effects and transitions processing, keyboard accelerators, and non-blocking rendering. Lives is the ideal video editing software that can cater to amateurs as well as professionals. It lets you create and edit videos without having to worry about details like formats, frame sizes, or frame rates. In spite of its small size, it has some amazing features including real time effect, clip editors, and the multi track timeline. Kino lets you load multiple video clips, cut and paste audio and video pieces, and save the result for editing later. After your video is finally ready and complete, Kino can export the composite movie in a number of formats.